Just when I thought Instagram released everything, they added one more feature (right after I originally published this article). An expansion of the poll feature, now users can prompt their followers to ask them questions. Users can see questions or responses in the same place where they can see their story views and can respond by adding to their story. I’ve also seen people use this in the reverse, where they pose an open-ended question to their friends and they can share their recommendation. This is another great feature to prompt engagement among your followers! Instagram has been very busy lately to ensure it is still your favorite app. So I thought it might be helpful this week if I gave you a rundown of all the updates Instagram has given us in the past 30 days. This the big one. Instagram is now letting users post long form videos, up to 60 minutes. Videos are limited to being vertical. Right now there aren’t any paid options, so it is anyone’s game for organic growth. Some are calling this the YouTube of Instagram. That is exactly what Instagram wants. According to Business of Fashion, teens ages 13 to 17, 85 percent of teens said they use YouTube. This update is to lure them away from the competition with hopes they will stay on Instagram longer. This one you might already know about, because I see a lot of you using it already. 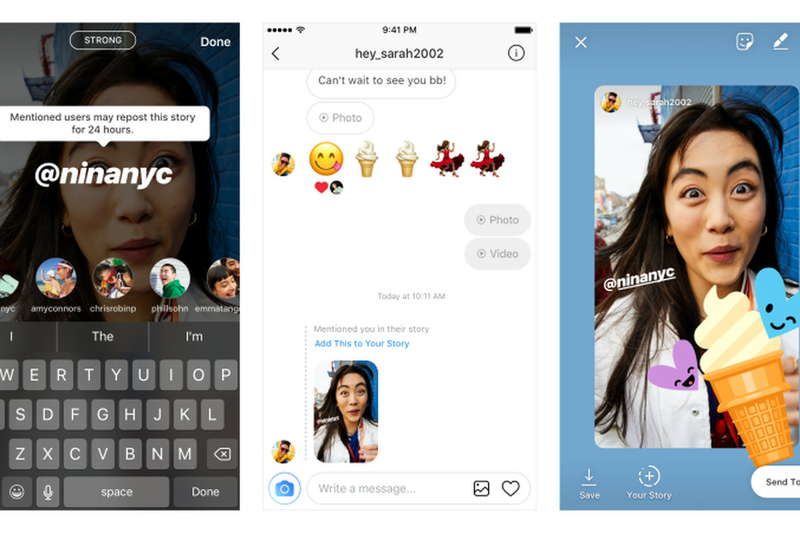 Now when someone mentions you in a story, not only will Instagram send you a notification, but it will also allow you to share it on your story. So you can’t repost in-feed posts, but this is close enough. As the saga continues between Instagram and Snapchat, Instagram recently adding to option to include music in stories. 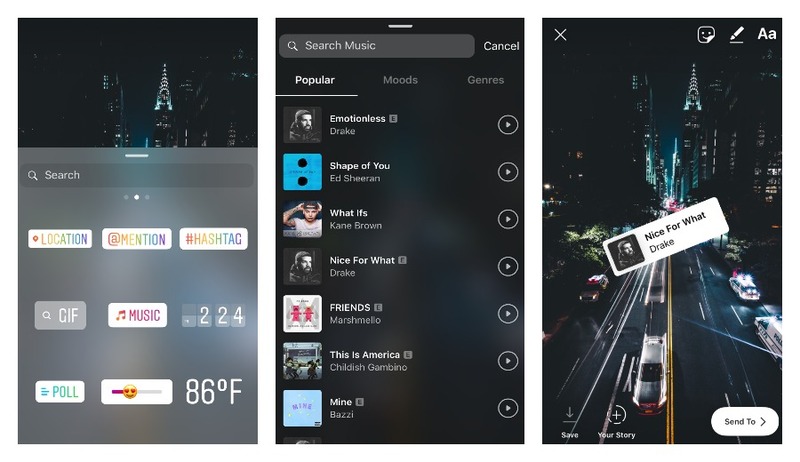 Similar to how an user would add text or a gif, Instagram has a catalog of music available for users to choose from. Clearly someone from their product development team took note of how much y’all like to (badly) lip sync to Drake while driving. This is definitely my favorite out of all of the updates. Do you have one of those friends who post a little too much about their breakfast? Or too much Draking and driving? Well now instead of blocking them or unfollowing them, because people get their feelings hurt, you can mute them. This means you will not see their posts or stories until you un-mute them. You can do that by simply going to their profile and undoing it. Hopefully, you won’t forget about them. We all love FaceTime, but it can be really annoying when someone is browsing and you’re on pause. Well, Instagram wants to eliminate all of that. With their new feature, up to four people can be on a video call and you can simultaneously scroll through Instagram. This is for you droid users with limited data plans. 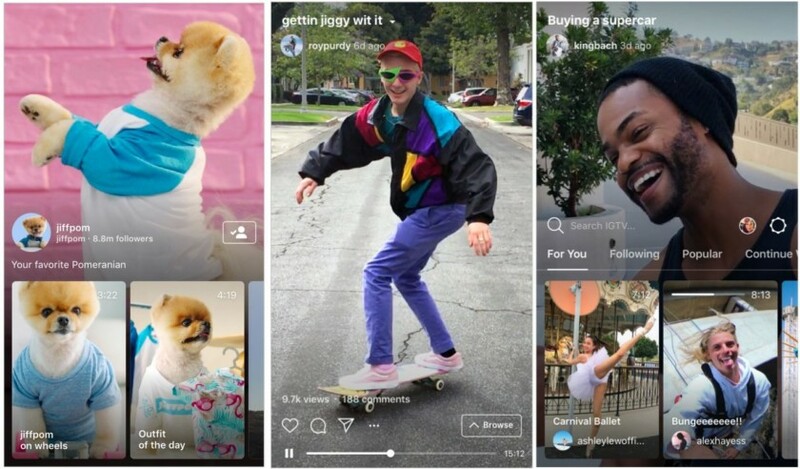 Instagram launched a new app called Instagram Lite, which has limited features. You can only post in-feed and to stories, scroll through your timeline, and browse the explore page. There is no direct message option. This is will limit the data use. Wow that was a lot! Again – the goal of Instagram is to keep users on their platform for as long as possible and attract new users. If you’re on Instagram, then you are not on their competitor platforms like YouTube or Snapchat. If you are not on those channels, then their user numbers goes down and Facebook (remember they are they parent company) can say they have more users. Why would they want to do this? Then they can ask for more ad dollars from more companies. It’s always all about the Benjamins.